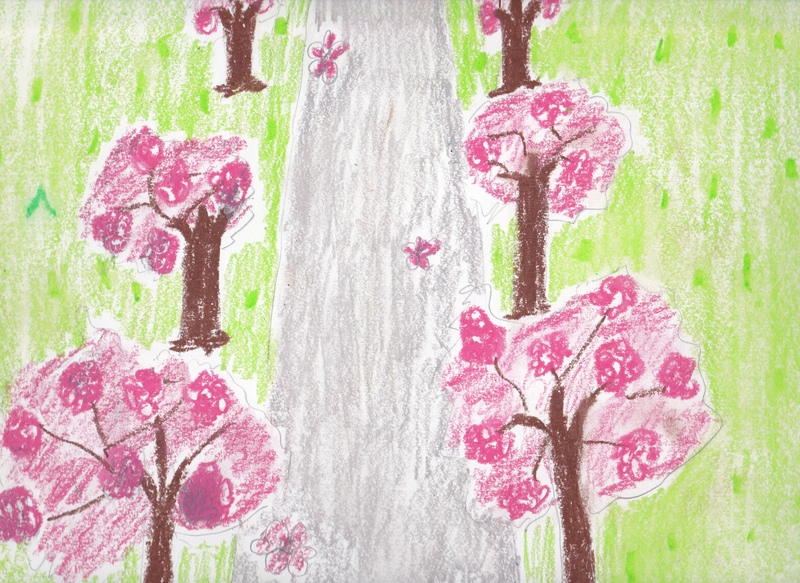 Cherry blossoms symbolize the arrival of spring, prosperity and joy. In Japan, cherry trees, called “sakura,” and cherry blossom flowers are held in high regard. The Japanese people celebrate hanami annually. Hanami is basically parties organized to view blossoming cherry trees. They also symbolize innocence and simplicity. We can all be like the cherry blossoms. 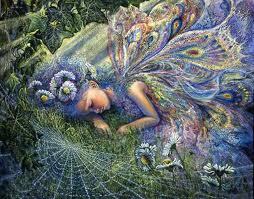 Let us sow the seeds of positive thoughts in our minds so that there is a bountiful spring. Let us spend some time every day in introspection and improving the quality of our thoughts, reducing the quantity of our thoughts and directing our thoughts to a higher ideal! Last weekend we took a 2D/1N escapade to Batam. 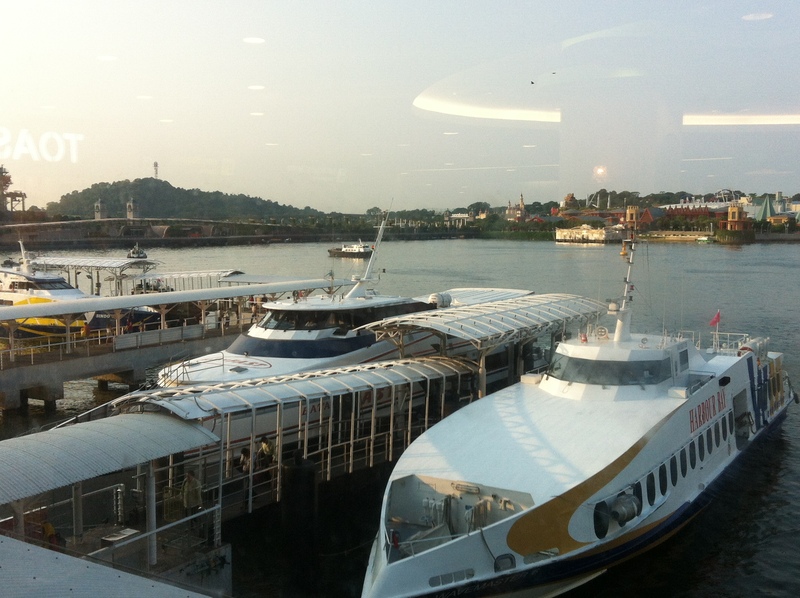 This trip was purely for relaxation and we did not do any travel within Batam. We stayed at the Holiday Inn Resort at Waterfront. The resort offers excellent suites, spas, gymnasium, swimming pool and a choice of 6 restaurants. 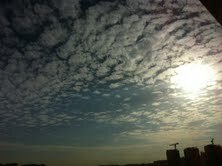 This was a different trip from our last holiday to Bintan. At Bintan, we have lot of watersports and other activities and it is more suited for the adventurous or sporty traveler. 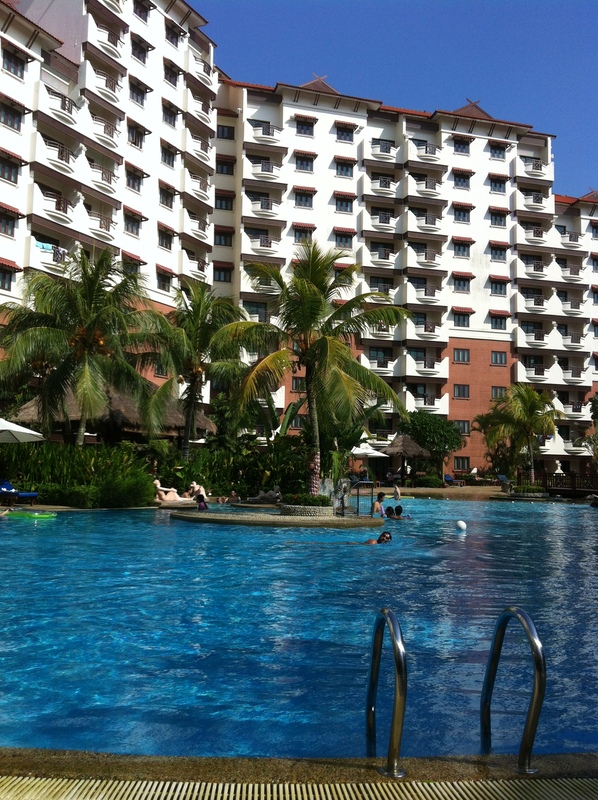 If you are looking for rejuvenation and comfort – Batam is a good choice. The ferry trip from Harbourfront to Waterfront takes 45 minutes. But we made a mistake and got off at Sekupang. We informed the staff at Holiday inn through the agent and they soon sent a bus to fetch us to the resort. 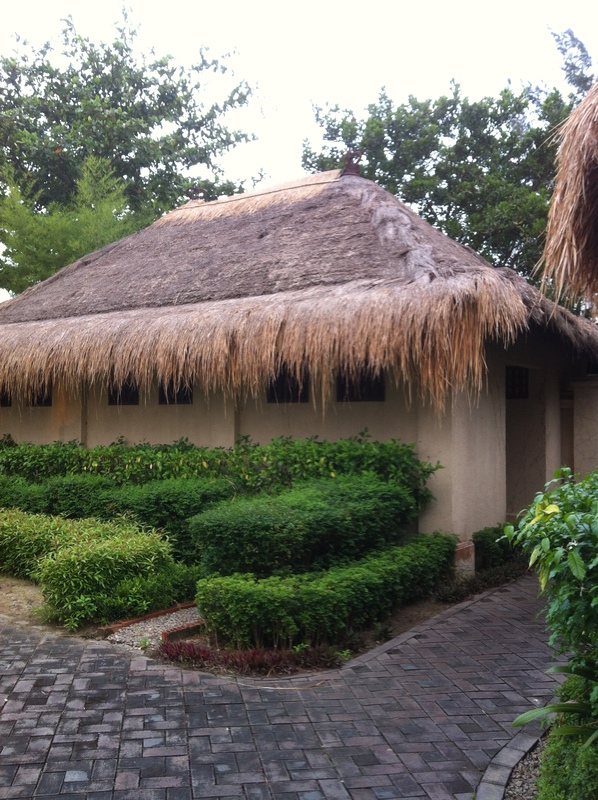 At the tea tree spa we had a 1 hour traditional Indonesian full body massage in an outdoor setting. The serene setting, relaxing music and the wonderful hospitality made this experience memorable. This was followed by a sauna and Jacuzzi. We also had a good time in the pool and the gymnasium. The international breakfast buffet is also excellent. For dinner we tried out the Tepanyaki Japanese restaurant near the outdoor pool. It was a pleasure watching the chef prepare the dishes. He was truly enjoying his job and the food was excellent. During both our trips to Batam as well as Bintan we got a feeling of ample time – (don’t know whether it is because Indonesia is 1 hour behind Singapore). The trip was a short getaway but we enjoyed every moment of it. Some of the websites that I like to access frequently are Google as a search engine , mail, maps , Youtube and numerous other products and services. I access twitter almost daily as a micro-blogging platform to post 140 character tweets. For blogging, I prefer to use WordPress which I find very user –friendly. For technology related news and content I prefer mashable and also access pcworld and cnet. I love to access Dictionary.com for their ‘word of the day’, thesaurus etc. For my everyday supply of office humour I go to Dilbert. National Geographic is a great site for information on animals and the environment. Boston Globe – The Big Picture has a collection of great photographs from around the world published weekly. For great talks on Technology and Design , the TED site is a useful resource. For a professional social networking tool, I access Linkedin. Mashable (Mashable Inc.) is a Scottish-American news website and Internet news blog founded by Pete Cashmore. The website’s primary focus is social media news, but also covers news and developments in mobile, entertainment, online video, business, web development, technology, memes and gadgets. Mashable was launched by Pete Cashmore from his home in Aberdeen, Scotland in July 2005. With a reported 50+ million monthly pageviewsand an Alexa ranking under 250, Mashable ranks as one of the world’s largest websites. Google Inc. is an American multinational corporation which provides Internet-related products and services, including Internet search, cloud computing, software and advertising technologies. The company was founded by Larry Page and Sergey Brin while both attended Stanford University. The company offers online productivity software including email, an office suite, Youtube videos and social networking.. Google leads the development of the Android mobile OS, as well as the Google Chrome OS browser-only operating system. WordPress is a free and open source blogging tool and a dynamic content management system (CMS) based on PHP and MySQL and . It has many features including a plug-in architecture and a template system. WordPress is currently the most popular CMS in use on the Internet.It was first released on May 27, 2003, by Matt Mullenweg. Pinterest is a pinboard-style social photo sharing website that allows users to create and manage theme-based image collections such as events, interests, hobbies, and more. Users can browse other pinboards for inspiration, ‘re-pin’ images to their own collections and/or ‘like’ photos. Pinterest’s mission is to “connect everyone in the world through the ‘things’ they find interesting via a global platform of inspiration and idea sharing. Quora was co-founded by two former Facebook employees, Adam D’Angelo and Charlie Cheever is a question and answer platform created, edited and organized by its community of users. TED (Technology, Entertainment and Design) is a global set of conferences owned by the private non-profit Sapling Foundation, formed to disseminate “ideas worth spreading.” TED was founded in 1984 as a one-off event and the conference was held annually from 1990 in Monterey, California. The speakers are given a maximum of 18 minutes to present their ideas in the most innovative and engaging ways they can. LinkedIn is a professional social networking website founded in December 2002 and launched in May 2003, it is mainly used for professional networking. It was founded by Reid Hoffman. What are some of your favourite websites? Why women love shopping and men want to get it over with? Is there a woman who does not love shopping? Shopping and women are sometimes inseparable, it appears. Shopping malls were made for women! Men just go into shopping malls to follow their women, carry their bags or because they can’t avoid it. Men have a hard time inside shopping malls, their legs suddenly become weak and their eyelids grow heavier the instant they enter a mall. But women actually spring to life as they pass through the door. They can’t wait to get into the merchandise whereas men have to fight the urge to retreat more with each step they take. Men are more drawn towards cars,,bikes, gadgets, audio equipment, exercise machines, and guitars . But ladies often drag their men into clothing, kitchen and shoe dept. A women has a keen eye for sales and offers and she can never miss out on a sale even if it means standing in long queues. 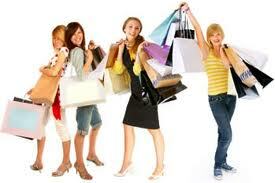 Buying stuff is something of a stress relief for them, It pacifies them, and gives them an ego-boost. I know of a friend who told her husband she was going out to buy a bag and what do you think she came back with ‘ a car’. Fortunately, it was not me – I probably would have fainted. I wonder how she could have explained this to her husband. Men will get to take the shopping bag if it means shopping for groceries (whether they like it or not). This is something that is a chore for them – they have to write down the list of items, take a trolley and bring back all the items (they have become so used to this that they can do it blindfolded). So, the next time you want to buy a house – stay far away from the hustle and bustle of the city and far, far away from a shopping mall. 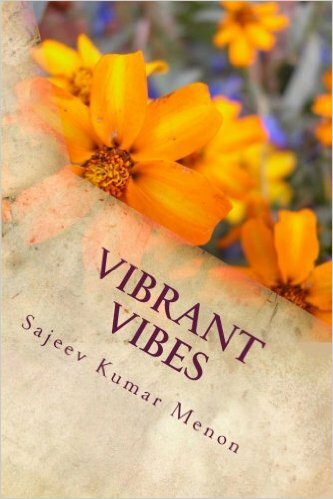 I was fortunate to be introduced to the Holy Gita in my 30s and ever since it has been a great source of inspiration for me and its liquid poetry expounds solid philosophy. 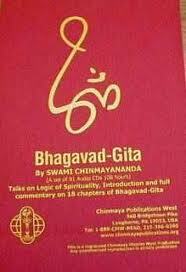 I have greatly benefited from the weekend Gita classes held at Chinmaya Seva Centre in Singapore. The Gita is a handbook of instructions as to how every human being can live the subtle philosophical principles of Vedanta in day-to-day life. The Holy Gita is not only a commentary but is also a thorough presentation of the Vedantic Philosophy and an unfailing guide to all seekers of Truth. Venus transits Sun – the once in 100 year love affair! Star-gazers, astronomers and science enthusiasts worldwide looked skywards on wednesday to catch a once in 100 year specatacle of Venus making its transit across the face of the sun. 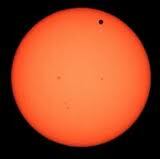 The last Venus transit occurred on June 8, 2004, and the next one will not be visible again until the year 2117. The rare celestial phenomenon saw people gather around telescopes to view the beautiful spectacle in the sky.